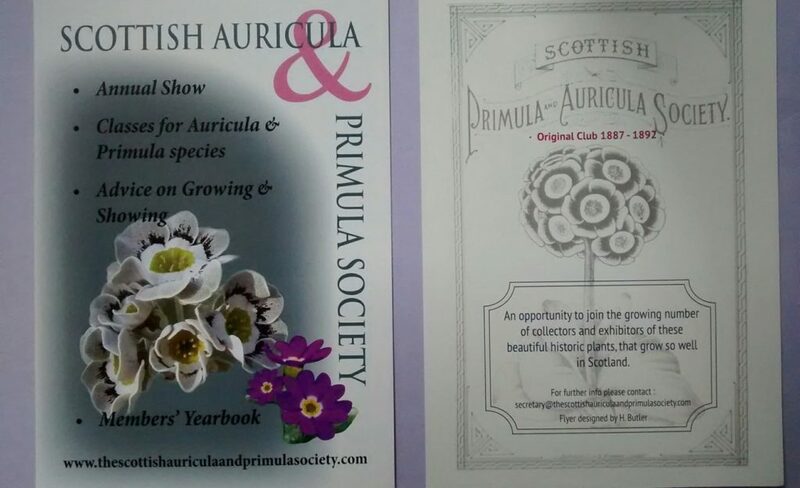 The Scottish Auricula and Primula Society 5th Annual Show is on Saturday, 18 May 2019 at Auchterarder Community Church Hall, PH13 1DF. A rare opportunity to see some of the finest Auriculas & Primulas, displayed by growers from across the country. Plant sales are from 10am. Our new 2019 mail order catalogue now available. In it you’ll find some really special Alpines, Auriculas, Woodland and herbaceous plants. Looking forward to a great year of plants ahead! It’s October, but we still have an interesting range of hardy plants for sale here on the nursery. 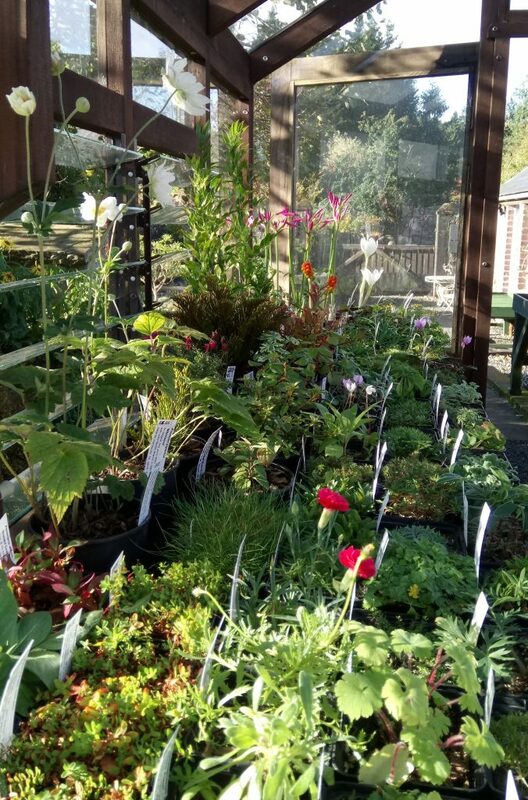 We have lots of colourful, hardy plants available, just give us a call on 01577 840160 before visiting – we’d love to see you! Sales area starting to fill up – almost spring?! Christmas or Birthday gift idea – a personalised Gift Token for any amount required, to spend on plants at Rumbling Bridge Nursery. Coffee and biscuits included for the recipient! Just contact us to order. 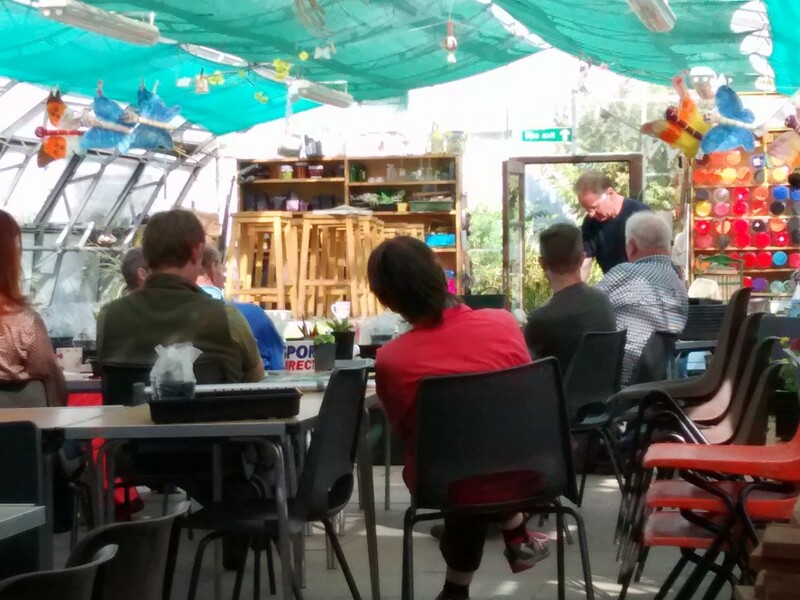 Graeme gave a propagation workshop recently at St Andrews Botanic Garden, covering the taking of hardwood cuttings, and division of woodland plants. 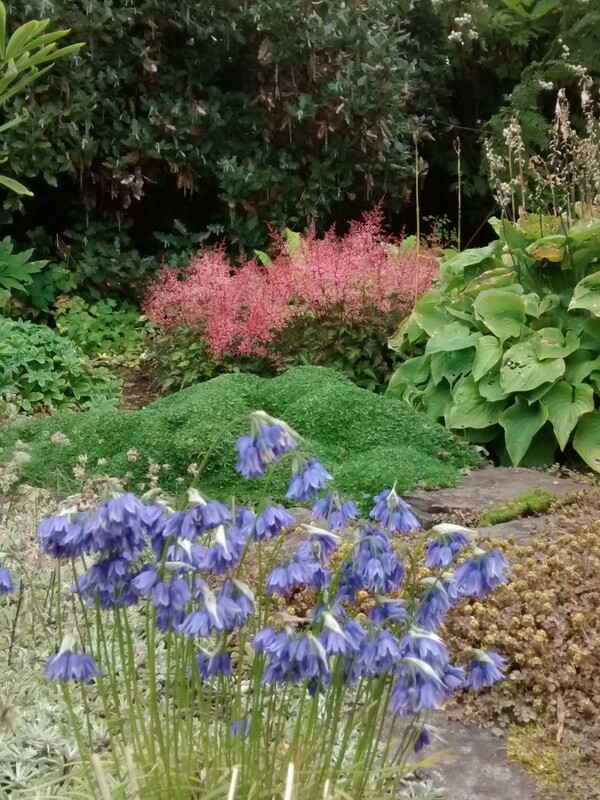 Allium beesianum, in foreground, with Azorella trifurcata, and Astilbe ‘Inshriach Pink’, in background. Three plants that complement one another well. 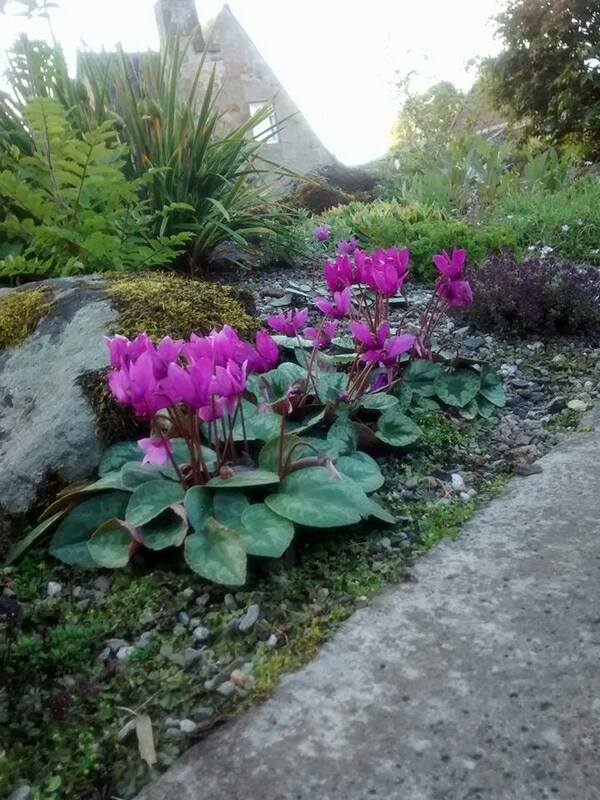 Even though the days are shortening and the quick “summer” we’ve had seems to be on the way out, we can rely on Cyclamen purpurascens to provide some colour along with its lovely Lily of the Valley scent! Welcome to Rumbling Bridge Nursery. We're an Alpine plant grower, offering hardy plants for sale. We offer a year-round Mail Order plants service, and are open to the public, by prior arrangement. If you wish to visit, please call us on 01577 840160, or email us. 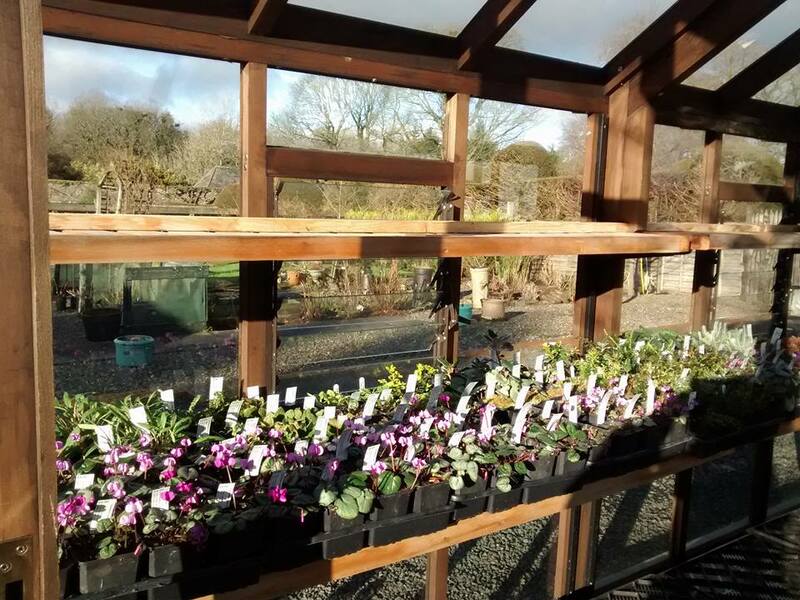 We're based in the small village of Rumbling Bridge near Kinross, a somewhat micro-climate at high altitude for growing our unique collections of rare alpines and woodland plants. 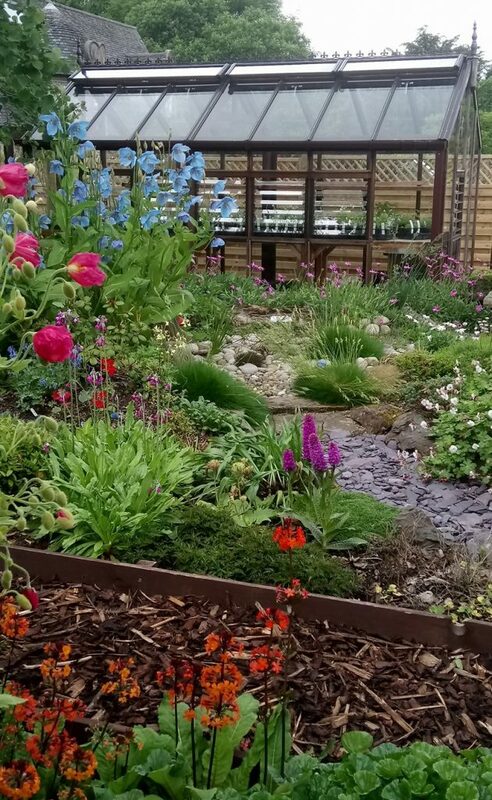 Our family business has been run for over seventeen years on the site of an old Victorian nursery and has become one of the UK's top Alpine growers. Our attention to detail has helped us maintain a consistent level of high quality, the ability to supply special rare plants and to look after our customers.